You can easily see a high-level overview of your campaign details from several campaign list sections via the information icon to the right of the campaign name. This can be helpful for viewing scheduling details as you're working on sending multiple campaigns. 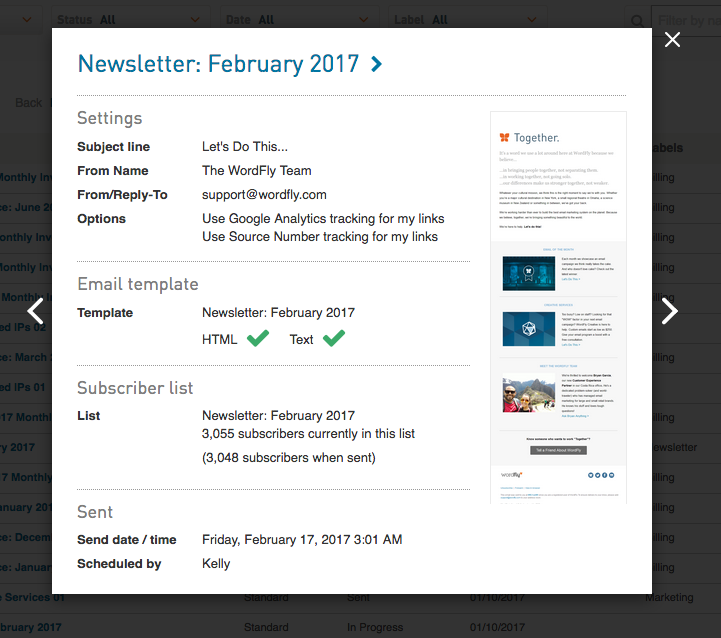 The preview also includes an email thumbnail to visually distinguish the campaigns. Click on the arrow to browse through your other campaign summaries. 2. Hover over any campaign name, click on information icon to the right of the name. As you hover over the name an information icon will appear, click on this to see a details overview of your campaign information.